A well-known manufacturer of plastic/polyethylene doctor blades for the flexographic market since 1988, Flexo Concepts has become the world’s leading producer of non-metalic doctor blades serving the flexographic and sheetfed offset markets. 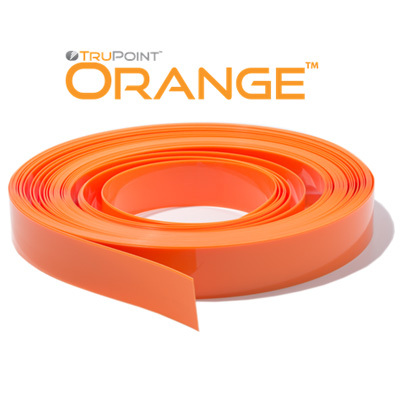 Most recently, the TruPoint Orange™ doctorblade product has been proven as the long-life replacement for steel with added safety benefits in a full range of wide web and narrow web applications. 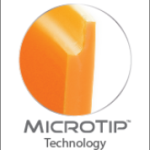 By combining a next generation polymer material with the Flexo Concepts’ MicroTip™ edge, TruPoint Orange™ doctor blade improves quality, efficiency and safety for all web applications. A unique blend of resins along with the latest innovation in tip engineering enables Orange to meter consistently up to 4 times longer than traditional blade materials while resolving a variety of pressroom problems. 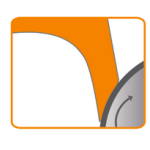 Due to its physical properties, Orange™ is much safer to handle and has been shown to substantially reduce pressroom injuries. The material is also non-abrasive and will not cause anilox roll scoring. Request an Orange™ sample today to experience the benefits for your business. The company’s manufacturing operation and corporate offices are located in Plymouth, Massachusetts and consolidate all aspects of production under one roof. 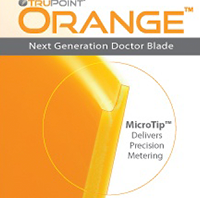 Canflexographics is very proud to be Flexo Concepts partner for sales of the TruPoint Orange™ doctorblade product line within Canada.